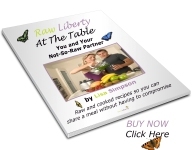 Loving Raw Cabbage? Surely Not? Sadly, in many households, the mere mention of cabbage leads to upturned noses and excuses to leave the table! In some countries, the cabbage is a delicious and nutritious staple, yet to many in the western world cabbage is only recognised as an ingredient of coleslaw...and then by the addition of mayonnaise, hydrogenated fats and many other unpronounceable ingredients, the health benefits of cabbage are completely written off! ...but first, let me tell you some of the reasons you should include cabbage in your diet. Cabbage is a member of the cruciferous family of vegetables, something to do with the cross shaped pattern of their leaves. Cabbages are rich in fibre and provide a phenomenal source of vitamin C. Cabbages also contain the naturally occurring, nitrogenous compound: indoles, which have been found to reduce the risk of various forms of cancer. Not bad eh? Vitamin A: which is responsible for the protection of skin and eyes. Vitamin C: an all important anti-oxident and helps mitochondria (the part of the cell responsible for energy production) to burn fat. Vitamin B: which helps maintain the function of nerve endings and boost metabolic energy. Modern scientific research has proved the many health benefits of cabbage. Extracts of cabbage have been found to kill certain viruses and bacteria, it can boost the immune system's ability to produce more antibodies, and it can also help to cleanse the digestive system due to its iron and sulphur content. There are many different varieties of cabbage, the most popular being the green cabbage (aka spring greens/collards) which I'm using in the recipes below. There's also the Savoy cabbage which has green/yellow crinkled leaves, (you can use this variety of cabbage as an alternative in my recipes). Then theres Bok Choy, which is a welcome addition to stir un-fries and has a sweet, light, celery type of taste. Then there's the beautiful Red Cabbage - tho why it's called 'red', when it's a delicious purple colour escapes me? It goes without saying that the red cabbage simply has to be good for you since all that beautiful plant pigment is where the majority of its nutrition is stored. Red cabbage is beautiful in salads. Then there's, Napa cabbage, cavolo nero.... fabulous variety and taste! Ok, now you have an idea why you shoud be eating cabbage, here's some cabtastic recipes to tantalise your tastebuds. Blend: 1/4 red cabbage, 1 apple, 1 banana, 1 cup frozen mixed berries and water to the desired consistency. I like to eat my smoothies like a pudding, out of a wine glass with a spoon..how decadent! Finely slice: 1 red pepper, 1 yellow pepper, 1 courgette, 1 avocado, and any other veg that take your fancy, such as mushrooms, spring onions, aspagagus etc. Blend: 1 red pepper, 1 clove garlic, 3T tahini, juice of 1/2 lemon, pinch of salt. Take the outside leaf of your cabbage (I used spring greens), de-vein if the vein is too thick. Lay this on a plate and top with the sliced veg at one end. Add a drizzle of the red pepper dressing and roll up like a wrap. These are lovely eaten with your hands using the rest of the dressing as a dip! Slice your cabbage and put into a large bowl. Drizzle with olive oil, a pinch of salt and 2T nutritional yeast. Massage these into the cabbage, squeezing quite firmly. This breaks down the cell walls and allows the cabbage to soften, making it more palatable. This can form the base of your salad, feel free to add whatever takes your fancy: chopped tomatoes, avocado, spring onions, red pepper, pine nuts etc. Prepare the curly cabbage salad as above, then transfer to the Dehydrator and dehydrate for a few hours til crispy. (That's if you can wait, I love the warm wilted cabbage straight from the D!) This makes a lovely snack, or crispy topping for any salad/soup. Thinly slice your cabbage and place in a bowl. Add a drizzle of olive oil and tamari,juice of 1/2 lemon, 1/2t ground cumin, 1/2t ground coriander, 1/2t turmeric. Massage into the cabbage as before. Add 2T sesame seeds, 2T shredded coconut and toss. This can be dehydrated for a couple of hours to soften and allow the flavours to develop. These are just a few of my favourite recipes. The possibilities are endless. Have fun, experiment, and no longer neglect the humble cabbage! One of the most common questions I get asked when people discover I eat raw food (note: this is something they discover as opposed to me walking around advertising the fact and imposing my choices on everyone I meet!) is "Where do you get your protein?" If I had a pound for everytime I was asked that....well who know's where I'd be! The arguments for and against vegetable vs animal protein are way too complex to go into here, and there has been so much written about this topic; but I wanted to share with you, one of my favourite protein boosts (apart from dark leafy greens, of which I eat large amounts on a daily basis)...sometimes the simple things are the best, and nutritionally the humble hemp seed offers a whole host of benefits, and plays a part in my diet most days. Aside from the fact that hemp can be used as a material for clothes, as a construction material for eco homes, it is also one of the most nutritious, complete foods, and is one of the most environmentally kind crops! Not bad for a little eco seed! Out of over three million edible plants on our planet, no other single plant source can compare nutritionally with the hemp seed. The complete protein and the essential oils that are contained in hemp seeds are in ideal ratios for humans. Unlike soya beans, which have to be sprouted or cooked, 65% of the protein content is in the form of globulin edestin, so that it can actually be used by the body in it's raw state, making it perfect for those following a raw food diet. One of the most exciting things about hemp is it's protein content. The amino acid content of hemp (that's the building blocks of protein) is almost complete, rivalling the protein in meat, eggs and soy. Protein is invaluable for growth, repair and maintenance of the body, as well as being necessary for beautiful skin, glossy hair and strong nails, something we all aspire to having! I don't profess to know or even fully understand the science behind the protein content of hemp; I'm no scientist by any stretch of the imagination, but I read that hemp contains arginine and histidine which are important for immunity and healing wounds, cell growth, and methionine and cysteine which are detoxifying. Hemp oil has the perfect balance of the easily absorbable fatty acids, omega 3, 6 and 9, which help to increase the metabolic rate, which helps maintain a healthy weight, and are vital for maintaining a strong and healthy body and mind. Sounds good to me! So, we know that hemp is good for us...but how to include it in our diet? Hemp seeds have a lovely nutty flavour and are extremely versatile. Whole hemp seeds need to be soaked and sprouted or ground before they can be eaten, unless you don't mind the crunch that is! Ready shelled hemp seeds are an easier option and are delicious sprinkled on salads, or soups. I've even been known to eat them with a spoon straight from the packet as a snack! Hemp seeds can be blended with water to make hemp milk (adding date for sweetness if you have a sweet tooth).This is a wonderful alternative to soy or cow's milk. Hemp alergies are virtually unknown, and this nutritious milk is quick and easy to make, is easily digestable and rivals most shop-bought milks. Hemp oil is excellent in salad dressings, and in fact should not be cooked as the omega 3 and 6 oils become rancid! I love a green salad, with avocado and spring asparagus tossed in hemp oil and lime juice. This recipe is quick and easy and packs a prefect protein punch! Blend: 1 banana, 1 cup raspberries (you can use frozen ones on a hot day! ), 1 date, 2T hemp seeds, 2 large handfuls spinach, 1T maca, 1t vanilla powder, coconut water - vary amount depending on how thick you like your smoothies. Top with hemp seeds, goji berries and cacao nibs. One of my favourite foods at the moment falls into a food group that may make many turn up their noses (and many may not even consider it as a 'food' at all! ): Seaweed! Yes seaweed! And yet, it's one of the greatest health secrets - a true "super food". It may seem surprising - that such a humble and common group of plants could offer so very much in terms of health yet the health benefits of seaweed have been known for a very long time - and modern science is now revealing more and more about this super-food. They are packed full of B vitamins. They contain chlorophyll which helps restore energy and vitality. They offer plenty of fibre. They often contain vitamins C, E and A. Some contain calcium, magnesium and potassium. Some offer adequate protein to supplement the diet. A little often provides a lot of satiety, excellent for keeping away those hunger pangs! There are many varieties to try so you never feel bored with them. My current favourites are dulse (more about this later), nori and arame. They are often relatively inexpensive, and are widely available in health food stores. They won't go stale because they are dried, making them great store cupboard staples. You can take them anywhere! They're light, and won't weigh your case down when travelling! They are simple to prepare, just soak in fresh water for 10-15 minutes, drain and voila! As mentioned earlier, dulse is one of my favourite sea veg! It is a reddish brown colour, and has a mildly spicy, salted flavour, and is considered a delicacy by many (including me...I love dulsefesting!) Dulse is not a new food by any means, it has been harvested for many, many a century; the earliest recording of it is 1400 years ago: St Columba and the Monks of Iona ate it! Although I've never done this (not saying I wouldn't, just haven't had the opportunity!) you can just harvest it yourself from rocks where it has dried in the sun. It grows in the inter-tidal regions, so it is relatively easy to access. It is however, readily available in dehydrated form in health food stores and online. As I mentioned, I do love having a dulsefest, and can often be seen eating dulse straight from the bag! It's an addiction!!! In fact not so long ago, after placing an order with Raw Living, http://www.rawliving.eu/, I received a phone call just confirming that I did actually want 10 packs of dulse and not 1! Dulse is exceptionally nutritious, containing around 10 - 20% protein (making an excellent food for raw food fans, with it being a non-animal product!) and a whole load of vitamins (particularly B6 and B12) and minerals, including magnesium, iron and beta carotene (which the body uses to manufacture vitamin A.) Additionally, dulse is a natural source of iodine which is essential for thyroid gland health and thyroid hormone secretion. It is now being farmed in Ireland and elsewhere for its health benefits and for making skin care and cosmetic products. So apart from eating dulse straight from the bag, how else does dulse feature in my diet? I add dulse to salads, soups, stir non-fries, grind it into a powder as seasoning or a garnish. Scroll down and you'll find a couple of my favourite dulse recipes below. So if you haven't tried sea vegetables, give then a whirl, they're definitely here to stay, and will certainly add life and variety to any raw diet! Here are some of my favourite dulse recipes, although I do just tend to add a handful to most recipes! Drizzle on some hemp oil and lime juice. I have always been a crispaholic, and have really struggled to find a raw alternative, 'til one day, in the absence of kale, I decided to substitute Dulse! and Volia!!!! Put the contents of a packet of dulse in a large bowl. Add a dash of olive oil and 2T nutritional yeast. Transfer to the dehyrator, and dehydrate til crisp. This is lovely on a summer's day! Serve garnished with dulse crisps. 'This month, the last of my judgements are dissolved. I will not allow being judgemental to hinder my joyous life.